The Snipe is considered one of the world's premier two person tactical dinghies for all ages. If you are looking for exciting competitive sailing that provides plenty of boat for the buck and a social atmosphere that is second to none then snipe sailing could be your answer. Come meet the members, we would be happy to take you for a spin. 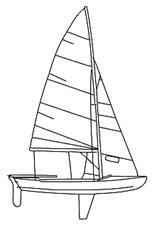 2011 Change: The fleet now races on Sunday afternoon (Apr/May) and Thursday evenings (June/July/Aug) out of Shilshole Marina of Corinthian Yacht Club. This is a test year in which over half of the active fleet members decided to try the waters on Puget Sound instead of Lake Washington, where we have been based for the past 30 years. 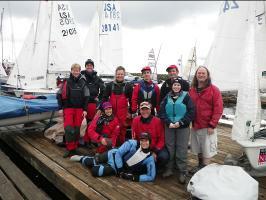 The fleet also participates in traveling regatta along the West Coast. Please see our schedule.